This product is available in its natural (d-alpha-tocopherol) form and its synthetic form (dl-alpha-tocopherol), the former being considered to be better particularly when combined with other tocopherols such as beta, gamma, delta, epsilon, zeta, eta and theta. Alpha is however considered to be the most effective hence its wide use in many products. 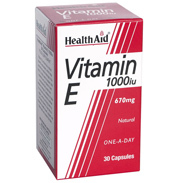 Vitamin E has antioxidant properties and blocks the chemical reactions that create free radicals, which can damage DNA and also lead to cell degeneration. Pollution, radiation and chemotherapy generates free radicals. It is a fat soluble vitamin Wheatgerm is also included here as a product that is one of the best natural sources of vitamin E content plus other valuable nutrients such as wheat protein, phosphates and natural sugar. 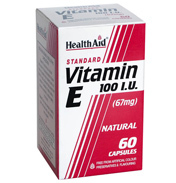 Vitamin E is usually provided in strengths from 100 to 1,000 IU and daily doses usually vary between 200 to 2,000IU. Up to 70% of vitamin e is actually excreted when you go to the loo as it is only stored in the body for relatively short periods of time. 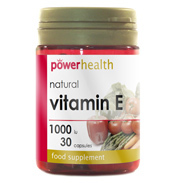 Vitamin E is also known as Tocopherol. It is a fat-soluble vitamin. It is an important Antioxidant. The role it plays is to help the skin heal and reduce the scarring from injuries and cuts. If you cannot absorb dietary fats or have a rare fat metabolism vitamin E deficiency is likely to occur. On this shelf you will find food supplements plus an excellent range of Bodycare products all incorporating the benefits of this remarkable vitamin. 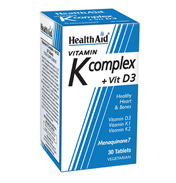 Solgar also have a wide range of Vitamin E food supplements as included in their Vitamins E & K section. 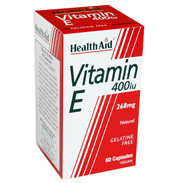 See also the range of Health Aid Vitamin E skincare products. on the natural skincare shelf.